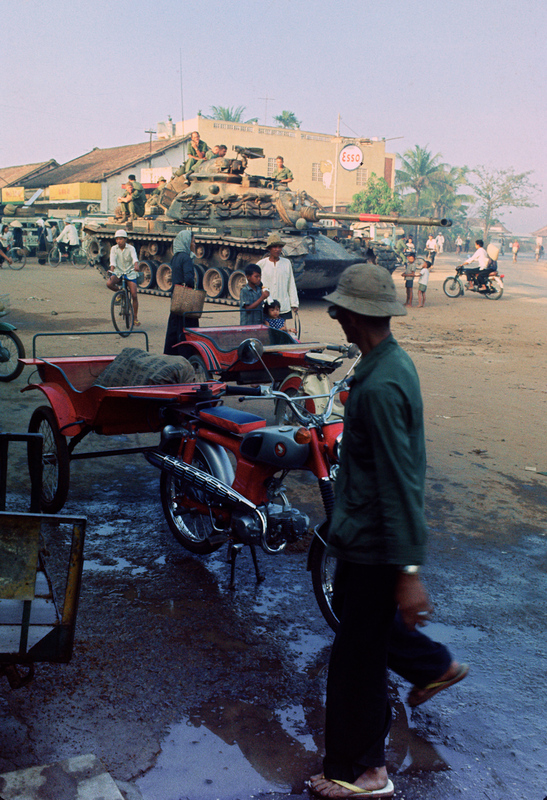 Pulling security in the village of Trang Bang, South Vietnam, sometime around February 1st, 1969. Tank driver, John Phelan - visible on far right of the tank, was on loan with A-37 to the 1st Platoon of A Troop, 3/4 Cav, 25th Infantry Division. Sgt. Jenkins (A-15) can be seen in the cupola of the tank. This picture was taken by Spec. 5 Arnold Braeske, the author of the article mentioned in the previous image. Photo courtesy of Arnold Braeske. Thank you Arnie!